The 'Initial' Estimate for Q4 GDP came in at 2.6% (2.59% to two decimals), down from 3.4% in Q3. With a per-capita adjustment, the headline number is lower at 1.92% to two decimal points. 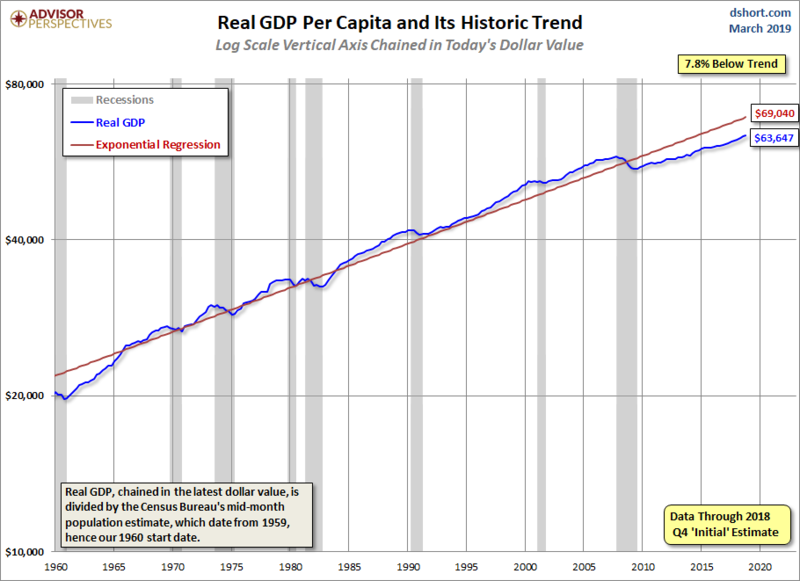 Here is a chart of real GDP per capita growth since 1960. For this analysis, we've chained in today's dollar for the inflation adjustment. The per-capita calculation is based on quarterly aggregates of mid-month population estimates by the Bureau of Economic Analysis, which date from 1959 (hence our 1960 starting date for this chart, even though quarterly GDP has is available since 1947). 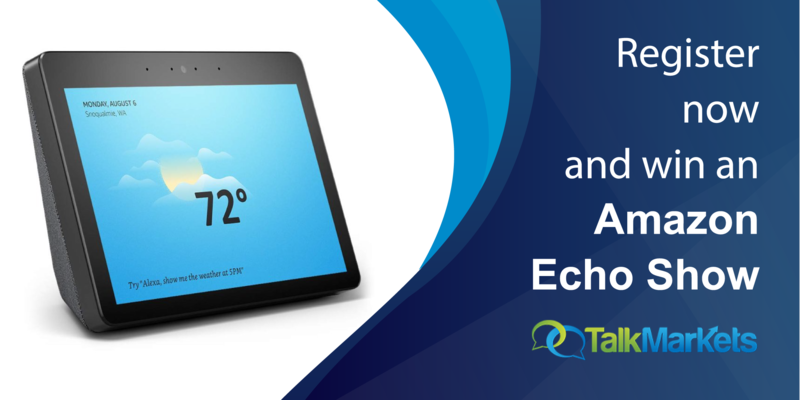 The population data is available in the FRED series POPTHM. The logarithmic vertical axis ensures that the highlighted contractions have the same relative scale. The chart includes an exponential regression through the data using the Excel GROWTH function to give us a sense of the historical trend. The regression illustrates the fact that the trend since the Great Recession has a visibly lower slope than the long-term trend. In fact, the current GDP per-capita is 7.8% below the pre-recession trend. The real per-capita series gives us a better understanding of the depth and duration of GDP contractions. As we can see, since our 1960 starting point, the recession that began in December 2007 is associated with a deeper trough than previous contractions, which perhaps justifies its nickname as the Great Recession. 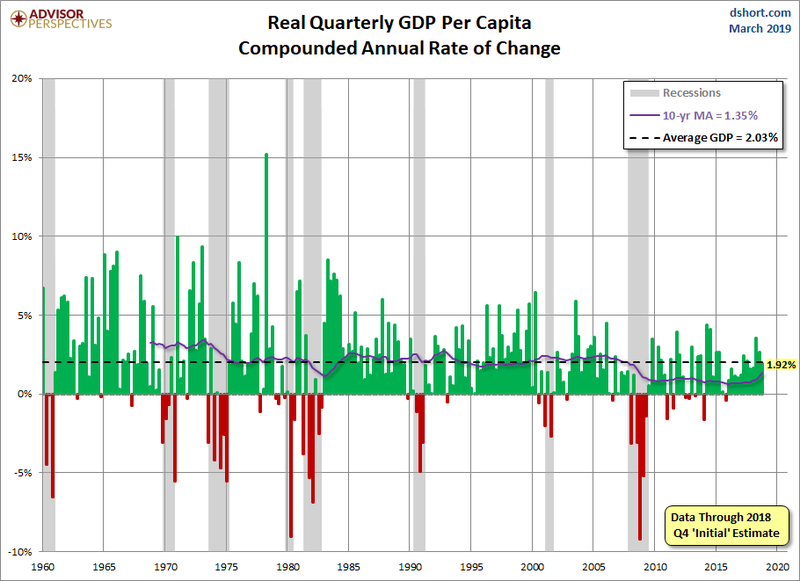 The standard measure of GDP in the US is expressed as the compounded annual rate of change from one quarter to the next. The current real GDP is 2.59%. But with a per-capita adjustment, the data series is lower at 1.92%. The 10-year moving average illustrates that US economic growth has slowed dramatically since the last recession. Economists and financial journalists vary widely in their opinions about the current level of recession risk. The official call on recessions, of course, is the domain of the National Bureau of Economic Research, which makes the determination on recession start and end several months — sometimes more than a year — after the fact.